IKEA was founded in 1943 in Sweden by 17-year-old Ingvar Kamprad. It has become known around the world for its affordable, stylish ready-to-assemble furniture, including kitchen appliances and home accessories. The company’s name consists of the initials of founder (Ingvar Kamprad), the farm where he grew up (Elmtaryd), and his hometown in Sweden (Agunnaryd). IKEA has been the world’s largest furniture retailer since at least 2008, operates 392 stores in 48 countries and offers roughly 12,000 products. This organisation impresses not just its consumers with low cost, high quality furniture, but also competitors and companies around the world. Although IKEA furniture and products are designed in Sweden, they are mostly manufactured in developing countries to keep costs down. IKEA furniture sold in pieces and requires assembly. Flat packs arrive in a box containing quite a lot of fittings and assembly instructions. Generally, building flat pack furniture takes a lot of time and frustration. 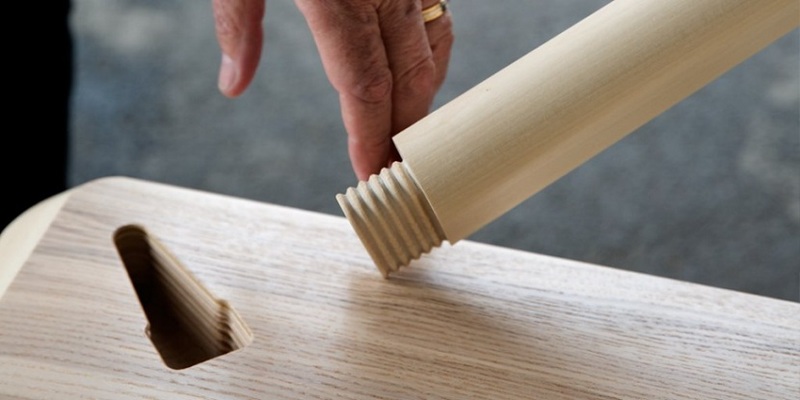 To make furniture assembly easier IKEA has introduced a new type of joint, called a wedge dowel. The system doesn’t require glue and can be taken apart and reassembled many times. The company now into the implementation phase of making it possible for you to click your flat packs together. It would be much easier, faster and enjoyable way to build IKEA wooden furniture.